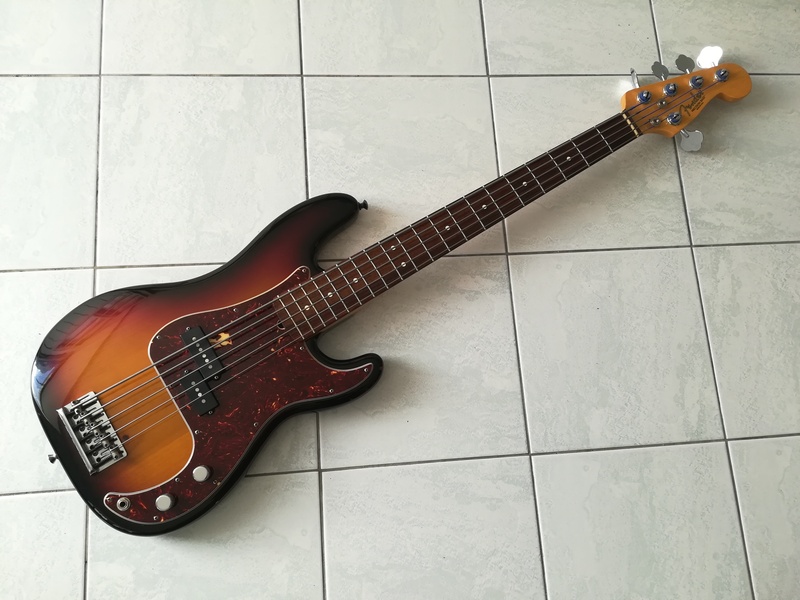 American Standard Precision Bass V [2008-2012], 5+ string bass guitar from Fender in the American Standard Precision Bass series. 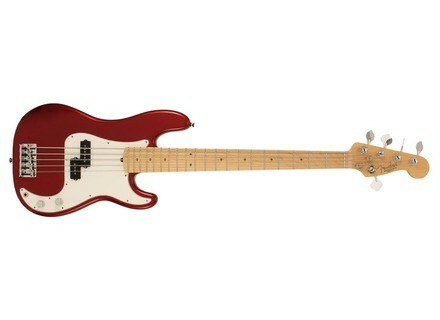 Product replaced by the Fender American Standard Precision Bass V [2012-Current]. raph.bass's review (This content has been automatically translated from French)" Perfect." 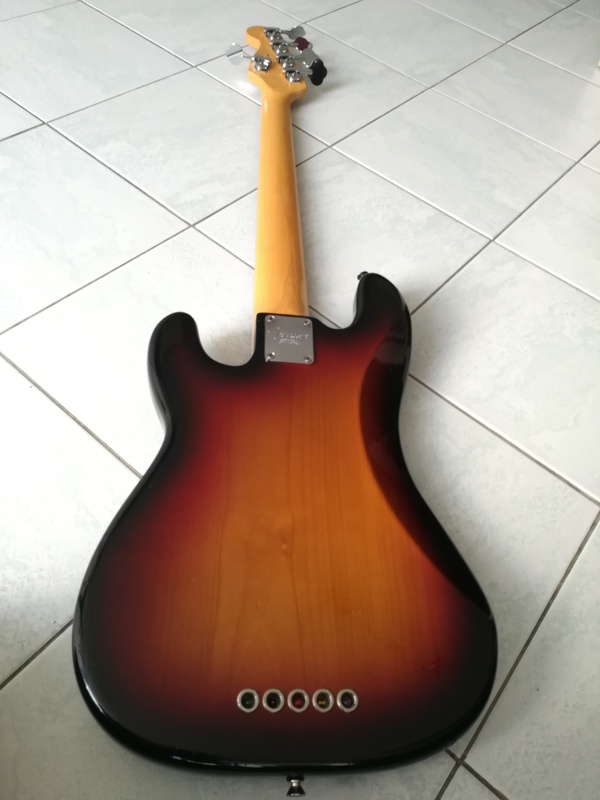 Precision Bass 5 string, made in the U.S., alder body, maple neck, rosewood in touch. 20 frets, neck profile modern C.
High mass vintage bridge with string through, mechanical Fender light. 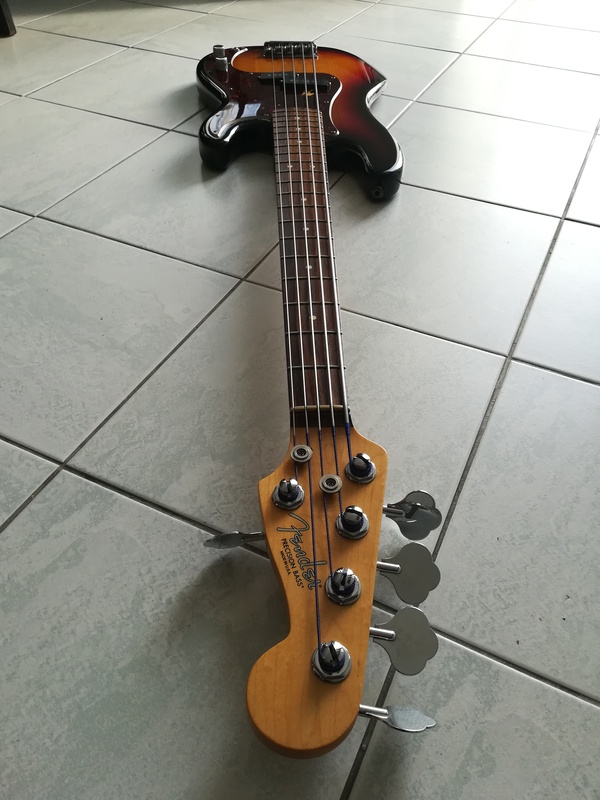 Fender Precision Micro alnico V, Volume, Tone. The handle is very nice, not the fastest, but the grip is perfect. Mine is rather light. The balance is not perfect but a good strap rectifies that. The sound is great for fans of PB, round, now with bass and mids beautiful, the 5th string and more. I use it as soon as possible, in all registers. 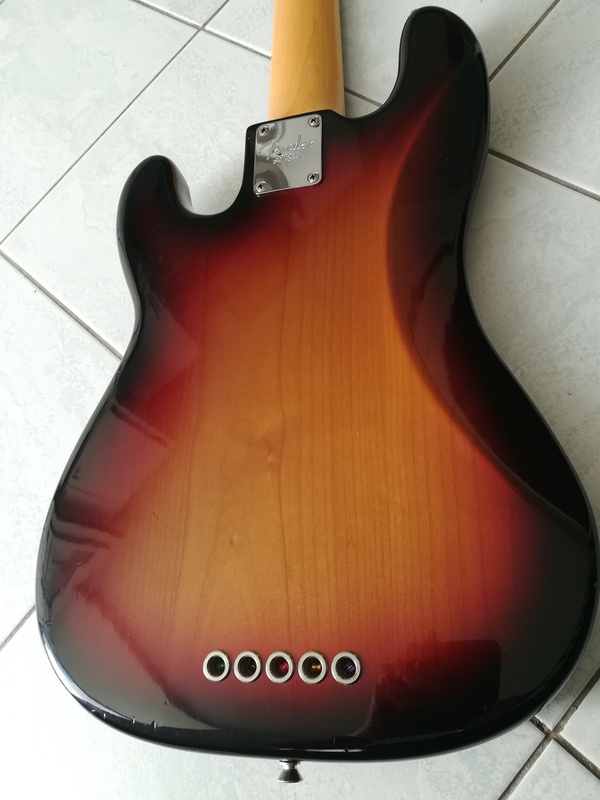 If a modern sound is not mandatory it is my PB gets stuck, if I take out the Stingray! The sound is a beautiful sound PB. Mounted with TI flats is a treat. A well rounded, serious present but not mushy, happiness. I play in an amp George 200W lamps and a cabinet SVT810: perfect! Used for several years, I sold and I returned. I played a lot of models, including PB likes, but this one is perfect.